When testing the Mini Pro, I was impressed by its well thought-out packaging. When conducting the inflation test, the compressor fi lled the test tire with a low-frequency hum that never waivered as the pressure climbed. Vibration was minimal. The Mini Pro’s 3' coiled air hose combined with the power cord gives you about 9-1/2' from the power connector to the valve stem. This is a generous amount of reach for filling your buddies’ bikes without having to unplug the Mini Pro from your bike. 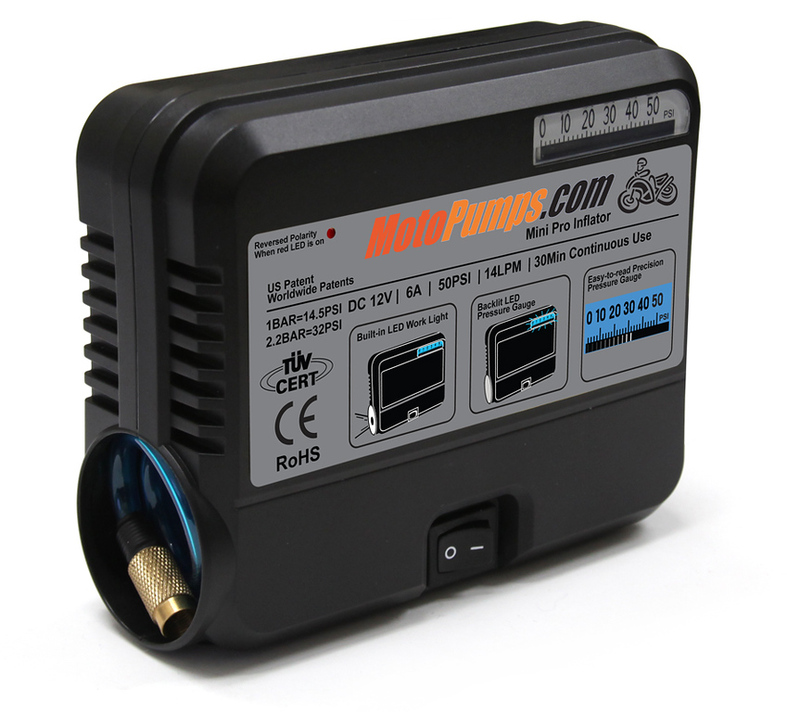 Quick, light, rugged and convenient, the Mini Pro is an essential piece of kit for a traveling motorcyclist.